UNIVERSE | Flickr - Photo Sharing! Mit etwas Phantasie reduziert sich unsere Welt im Universum auf eine silberne Kugel im Wassergraben eines Parks - oder umgekehrt? 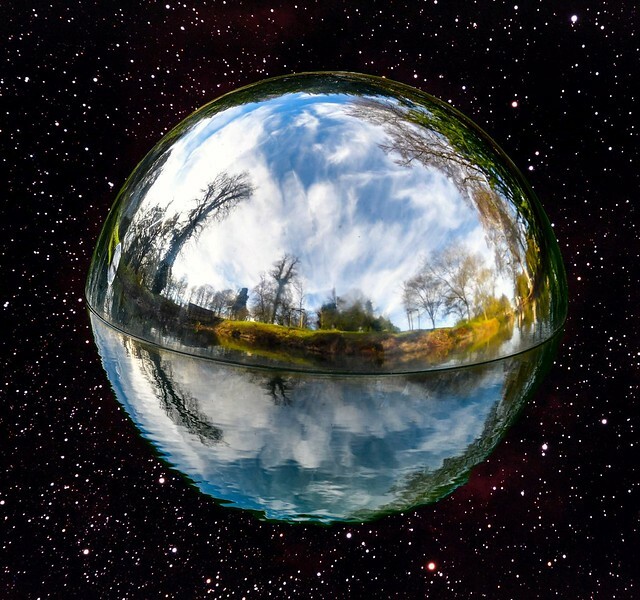 With some imagination, our world in the universe is reduced to a silver bullet in the moat of a park - or vice versa? gregadams5522, Al Sanin, evicka66, and 192 other people added this photo to their favorites. A very interesting capture my friends.